June is an exciting time in the Edible Garden. Some of the seeds sown earlier this year are finally starting to bear fruit. 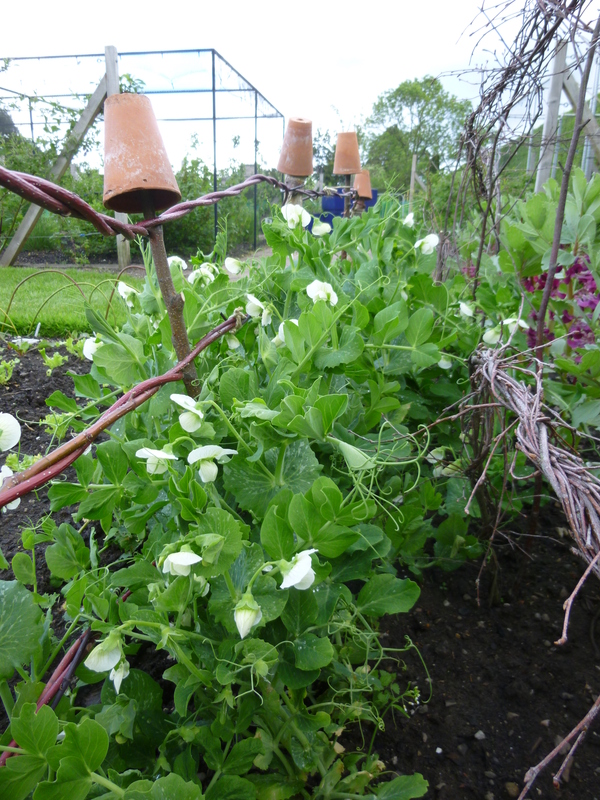 Peas and broad beans are flowering and salad leaves and radishes are ready to pick. 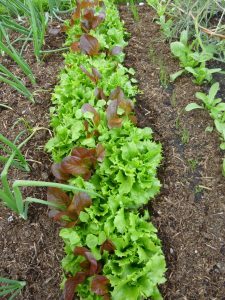 There are still plenty of things to sow now, especially quick growing crops such as carrots, beetroot, peas, kohl rabi, lettuce, spinach and radish. Tender crops (those susceptible to frost damage) can be sown directly outside now as the risk of frost is minimal (unless you live in a particularly cold spot!). 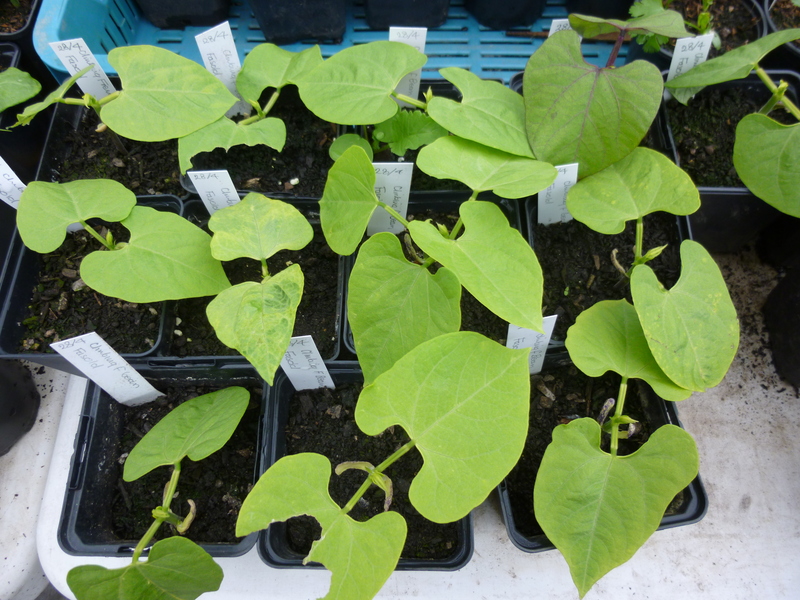 The most reliable tender crops to grow outside in Scotland are courgettes, runner beans and dwarf French beans. Don’t leave it any later than June to sow these as there is a risk of early autumn frosts killing them before they have produced their full crop. If you have started tender crops early in pots indoors, now is an excellent time to plant them out. Make sure they are fully acclimatised to outdoor conditions (aka ‘hardened off’) before you plant them in the ground. Cold winds can be very damaging to plants that have been reared indoors. Over the course of a week or two take your plants outside daily for progressively longer periods. This should prepare them for going outside, however if you live in a particularly windy side it would be beneficial to cover them with a fleece or cloche once they are planted out. Leeks and winter brassicas such as Brussels sprouts, kale, purple sprouting broccoli and cabbage can be planted into their final positions now. Remember to net brassicas to prevent damage from pigeons. Warm showery weather means weeds germinate and grow quickly. The best way to stop them getting out of control is to hoe the soil in between your fruit and vegetables at least once a week. Particular attention needs to be paid to rows of newly emerged seedlings. Young plants can quickly become choked with weeds at this time of year. The only way of controlling weeds within the rows of young plants is to carefully pull the weeds out by hand without disturbing the seedlings. Water after weeding to help resettle the soil. The ultimate size vegetables grow is influenced by how close they are to their neighbouring plants. After germination young seedlings need thinning to achieve the correct spacing. The exact spacing distances that vegetables require can be found online, in any veg growing book or on the original seed packet. This is not critically important for crops that are going to be picked and eaten young but is very import for vegetables such as beetroot, turnips and carrots that are going to be stored over winter. To store vegetables they need to grow as large as possible before harvest to prevent them dehydrating whilst in storage. Dry spells in June can lead to stunted growth. Water copiously in the morning or evening to make sure the plants are getting enough water. 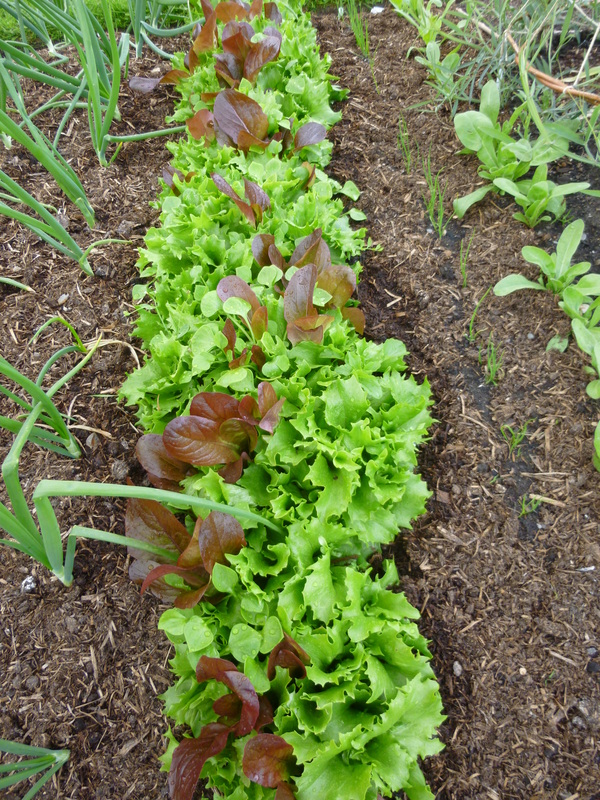 Established vegetables and fruit trees and bushes can be mulched with well-rotted organic matter after watering to help lock in the moisture. As the weather warms pests can become a problem. Keep a careful watch and take appropriate measures as necessary. 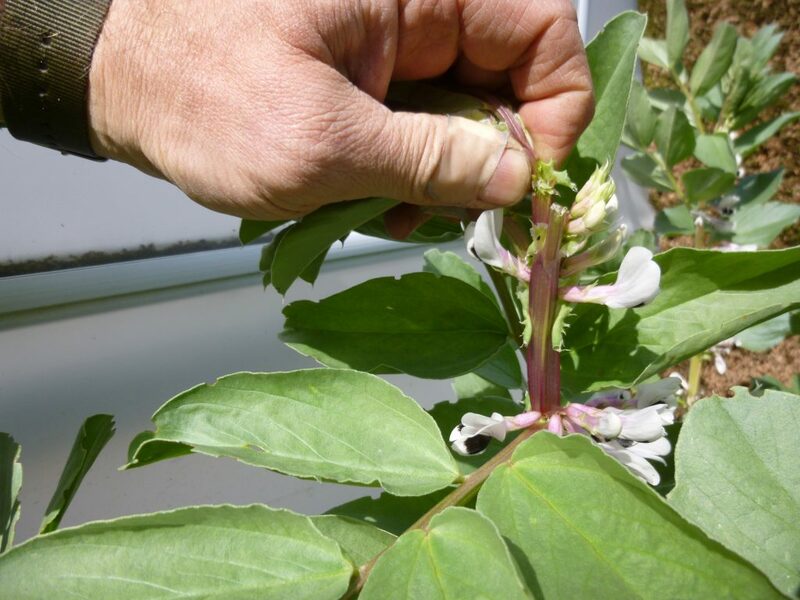 The soft young tip growth on broad beans is susceptible to black fly infestation. You can prevent this by pinching out the tips once the first beans have started to form. The tips can be sauteed in garlic butter for a tasty treat!